No stranger to yap Alan Carr will be yapping his way around New Zealand for the very first time with his stand up show ‘Yap, Yap, Yap!’ The BAFTA and British Comedy Award winning comedian, author and chat show supremo returns to his stand up roots with his hilarious take on life. 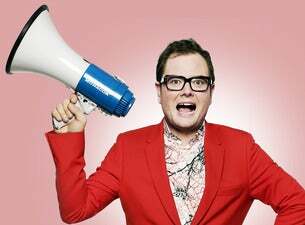 Don’t miss seeing Alan Carr in 2016! This will sell out!